Are you envious of my chicken palace? Do you too want to replace your front lawn with vegetables and fruit trees? What you need, my friend, is to attend my Urban Homesteading class! 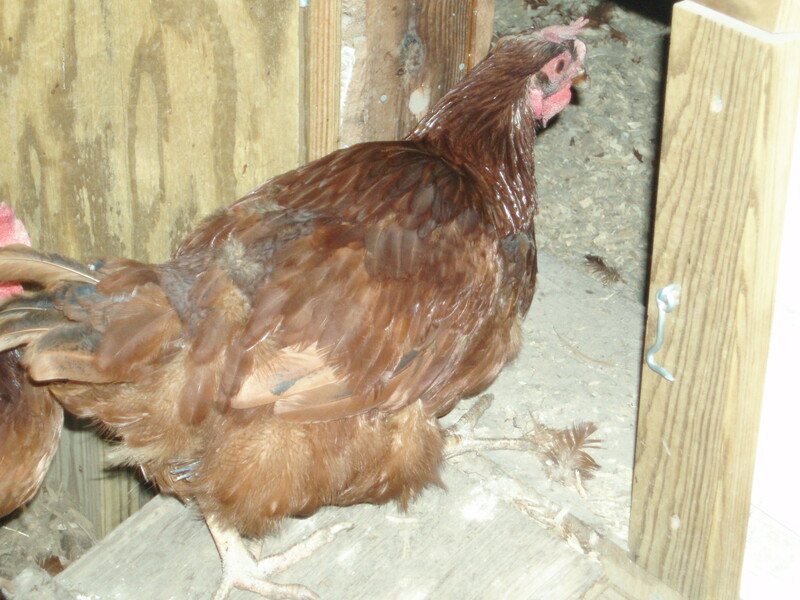 Small livestock like chickens and rabbits are one component of an urban homestead. This two-session class is an introduction to the concepts of the urban homestead, from gardening to small livestock to using resources wisely. And best of all, I won’t charge you a cent. The class is offered on a trade basis. You bring a couple cans of tuna or peanut butter for the Irvington Food Pantry and a bag of newspapers for me, and I bring the urban homestead handouts, loads of gardening info, and wacky stories about life with chickens. Both sessions are at the historic Benton House, a restored 1873 home. 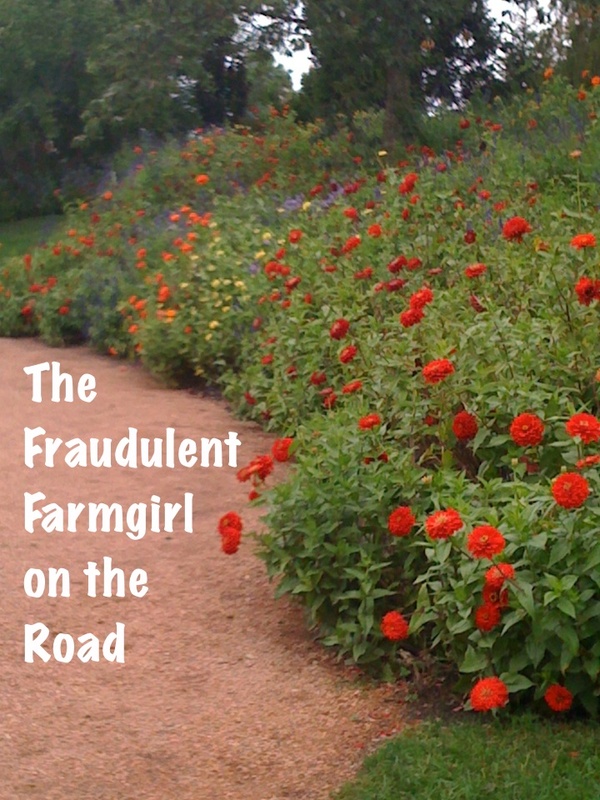 Here are all the details; drop me a line at fraudulentfarmgirl@gmail.com to register. WHEN: Tuesday, April 16 and Thursday, April 18; 7:00 p.m. to 8:30 p.m.
FEE: No cash fee. Students are asked to provide two meat, fish, or peanut butter items for the Irvington Food Pantry or attend the cleanup of the Kyle Oak on April 27. In addition, students are asked to bring a bag of newspapers to be used as sheet mulch. …but not too far, because I’ve got a lot of plants to get in the ground once the soil dries. Still, it’s shaping up to be a very busy garden speaking season! I’m especially excited about being part of the Urban Homestead exhibit at the Indiana Flower and Patio Show. I was invited to speak by the awesome Maggie Goeglein of Fall Creek Gardens: Urban Grower’s Resource. In addition to my own presentations, you can learn about keeping bees, rain barrels, chickens, composting, raised beds—you name it. The Urban Homestead exhibit itself has windmills, a biomass heater, a rain garden, a chicken coop, an eco-cottage, and more. On the days I’m speaking, I’ll also be hanging out at the Urban Homestead exhibit, chatting up people and answering questions. Come see me! Food Gardening for Beginners, 12:30 p.m.
Food Gardening for Beginners, 7:00 p.m.
Organic Weed and Pest Control, 1:00 p.m.
Food Gardening for Beginners, 10:15 a.m. Gardening with Bulbs, 7:00 p.m.
I’ll be hanging out at Orchard in Bloom to talk gardens all day Friday, Saturday, and Sunday, as well as presenting. Vegetable Gardens for Beginners, 2:00 p.m.
Small Space Gardening, 11:00 a.m.
I’ve just placed my order for more fruit plants. Of the five Heritage raspberries I planted two years ago, only three surived. I’ve ordered three more, in the hopes that they will fill in the holes. But the raspberries are confined to about a 1.5′ strip between a concrete barrier and a brick path (best place for them, I think), so I’ll probably have to keep an eye on that spot to avoid overcrowding. Oh strawberries, how I missed you last year. 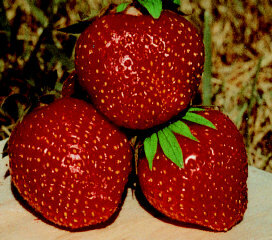 I’d love to believe that strawberries come back year after year, but they actually decline after the third year or so–and that’s assuming they don’t get knocked off by a killer heatwave like mine did two years ago. Last year I replaced some of my Honeoye June-beares with Tristar everbearers, so I hope to get at least some strawberries this year. But to have enough berries for jam, I need June-bearers too. So I ordered 25 more Honeoye. I’ve had strawberries in the tree lawn, but I think I’m going to start rotating them into the vegetable garden as a semi-permanent bed. So this year I’ll plant the new berries in one slice of my round front-yard potager and leave them there for a couple of years. Then I’ll take some of their runners to start another slice of the bed. If I stay on track, I should avoid another berry-free summer like last one. And then there are the blueberries. I moved my last, pathetic blueberry to the raised beds in the back garden last year and added a Northland. I’m still mucking around with the soil pH back there, but I figure I at least have a fighting chance in the raised beds. So, with a gardener’s usual foolhardy optimism, I ordered a Northcountry blueberry to add to my blueberry dreams. I’ll let you know. I have to start avoiding the discount racks at the bookstore. I bought a bunch of seeds too, which should be delivered soon. I’m not really a fan of broccoli and the like, so most of my spring veggies are direct sown in the garden. I will start my tomatoes, peppers, and eggplants inside, though. 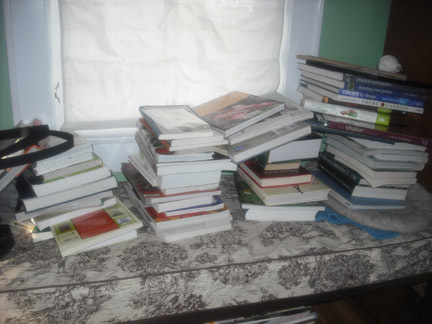 In other news, I’m spending part of the morning weeding my garden library. Granted, I use these books a lot, but they’re starting to reproduce when my back is turned and colonize free spots on the office floor. So its off to Half-Price books for at least some of them. I had a great time at the Binford Farmer’s Market today talking to people about my blog, vegetable gardening, and classes at Art of the Soul. Now that the frost-free date has come and gone, it seems like everyone’s ramping up for planting! The lovely folks from Indy Wellness Guide posted another video of me giving garden tips for new gardeners. Check it out!